The TM1Connect QlikView Plug-in allows QlikView applications to connect directly to TM1 without having to wait for a scheduled batch process to update the data. In addition to allowing real-time access to the information in TM1, TM1Connect can also leverage TM1 security for restricting information that can be seen on a user-by-user basis. 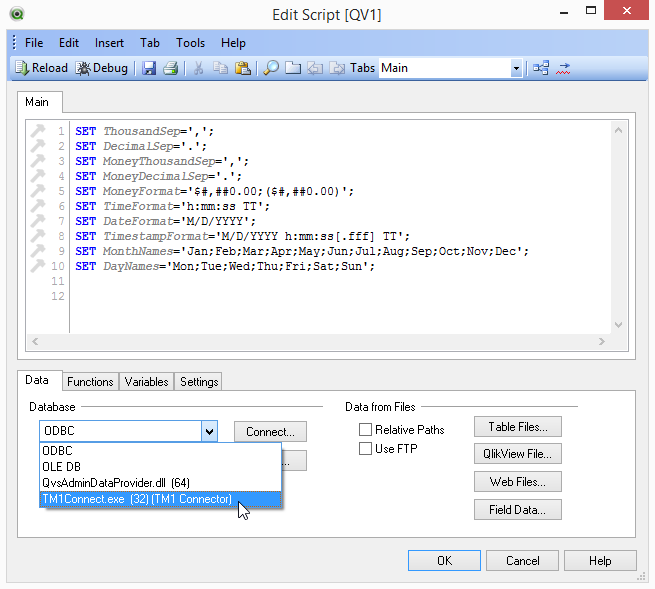 With the TM1Connect plug in software installed, open the script editor in QlikView and select TM1Connect.exe from the database dropdown menu as shown below. The buttons on the page will change to reflect the selection of the new data source. With the TM1Connect plug-in selected, press the the Connect... button to be prompted for the location of TM1Connect server, and user name and password to connect with TM1. 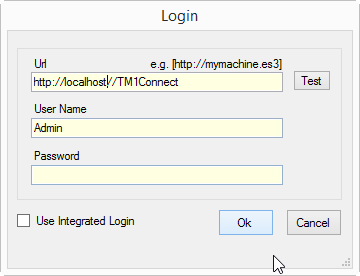 Enter the TM1Connect URL provided by the administrator, along with the TM1 user name and password (or if integrated login is used in your setup, select the Use Integrated Login checkbox). Once you have made a successful connection to TM1Connect server, you will be presented with a list of published views that are ready for use. Select the view that was published and is ready for use provided by the TM1Connect administrator, and press the Select button. 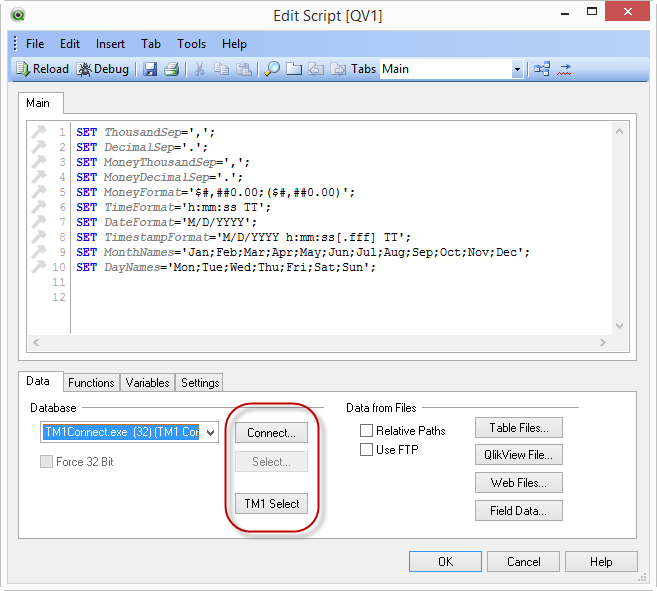 After the view has been selected, an SQL statement will appear in the script which will instruct QlikView what information is to be extracted from TM1Connect. With the connection and the query configured, press Reload button in the top left menu bar of the QlikView Script Editor, to import the data using the normal QlikView data loading procedures. 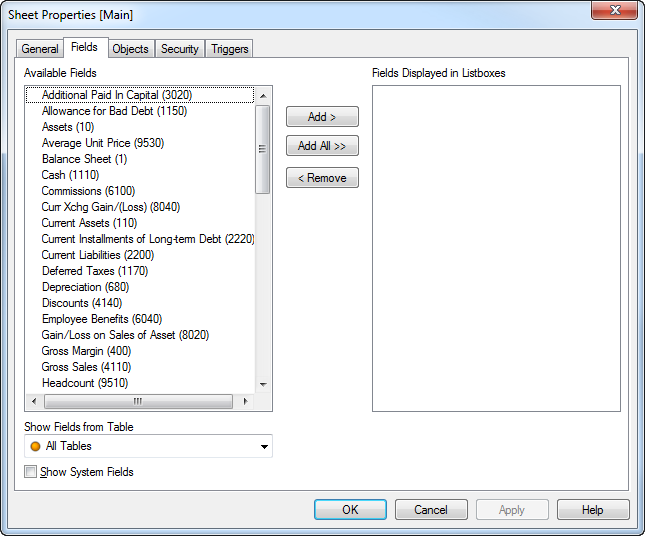 The fields returned will correspond with the columns defined in the view and will be available for loading into the QlikView document.